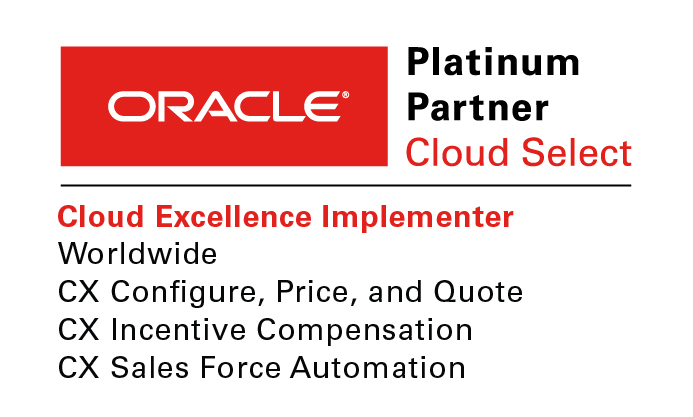 A5 is an Oracle Platinum Partner and maintains both the Oracle Cloud Excellence Implementer Status and a position as one of the highest rated partners on the Oracle Cloud Marketplace. Oracle helps organizations to begin their digital transformation utilizing the power of enterprise cloud computing, software as a service, platform as a service, infrastructure as a service and data as a service. Sell anytime, anywhere with the mobile access to your CRM system. Drive and monitor sales activity with SPM dashboards, review sales analytics and forecasting tools and integrate with the Oracle Marketing Cloud, Oracle CPQ and Oracle ERP to sync your company’s strategy and create a more complete picture of the how to reach financial goals and objectives. Elevate your company’s sales performance with Oracle engagement Cloud. The Oracle Engagement Cloud is a single-platform sales solution that integrates seamlessly to allow brands to grow exponentially by improving customer engagement and accelerating sales. An intuitive analytic dashboard allows sales reps to access real-time information about customers in order to anticipate needs, speed up the sales process and make adjustments to sales strategies for the future. Approach: Provide complete service solution across assisted and self-service channels. Delight the customer with connected web, social and contact center experiences. Solve problems and provide ease of navigation to enhance customers service and buying experience. Our A5 offerings (Audit, Advise, Align, Attain, Assist) span the entire software ownership lifecycle and that mindset permeates each aspect of our service delivery. We understand that most of the work happens around and outside of the implementation and we are happy to guide and assist you each step of the way. Team: Our A5 team of problem solvers and customer support professionals have decades of experience in helping companies take customer experience into the digital future. Let our experience in enabling customer support across the globe guide your efforts to modernize your customer service operations. Methodology: At A5 we utilize a hybrid Agile/Waterfall methodology that allows for and anticipates the learning that often accompanies a deep dive into implementation. This flexibility allows us to work with you to create a solution that will work for your sales team while creating a high sense of ownership within both the user and admin groups. We follow this up with a rigorous testing cycle to ensure platform accuracy and effectiveness prior to system launch. We’ve found this hybrid approach to be the most successful way to deliver quality projects and platforms to our clients – on time, on budget, and with high adoption. It was a pleasure to work with the A5 team. They were responsive, patient and helpful throughout the entire process. Our implementation was challenging due to the customization and the way we do business—but the A5 team supported us all the way and offered solutions when we got “stuck,” so to speak. I would highly recommend the A5 team for OSC implementation. A5 has worked with us since we implemented Sales Cloud over a year ago and has continued to act as a real partner on subsequent Sales Cloud projects. We truly feel that they are vested in our success, as they continuously demonstrate through good communication and follow-up well after the cited goal is achieved. I would recommend them as both an implementation and support partner for any company seeking a partner they can trust to be vested along side them on any Sales Cloud related initiative. A5 drove the conversion from Salesforce.com to the Oracle Sales Cloud for our company. They handled all facets the project: pre-sales support, discovery, planning, development, implementation, data migration and testing. Their team was easily accessible and knowledgeable. We chose a very aggressive timeline and I am certain it would not have been possible without their guidance and support. Over the years, I’ve worked with many different partners, and I can honestly say that as a Professional Services Group – A5 is the top notch outfit. A5 utilized their rapid deployment model to implement Oracle Engagement Cloud for an intelligent shipping platform company in 10 weeks and they realized nearly $1M in savings in the first year because of higher user-adoption. Customer’s sales reps are geographic, as well as customer-direct. A percentage of its sales are through distributors and re-sellers. Customer was running AS400 for financials, order entry, and account data. It was also using Lotus Notes for email. Customer executives were looking for an automated sales process to help expand the business. Manual and slow sales process due to handwritten records. Limited ability for sales reps to capture customer interactions. Recently double the sales force of reps due to acquired new business, Keith Huber. Overall sales process was limited in visibility and reporting. A5 implemented Oracle Engagement Cloud through its 7 week accelerated program. This ultimately replaced master data stored in AS400 with Oracle Engagement Cloud. A5 technical expertise provided 2 days of on-site training to ensure product acceptance. Customer now has a structure process for managing accounts and transactions. Customer’s super-users are now trained to extend Oracle Engagement Cloud with limited help from outside consulting.